Eating the right foods every day along with exercise and daily brain games will keep brain cells healthy and prevent brain-damaging inflammation. 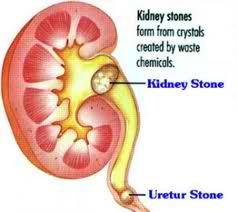 Did you know that dehydration is the biggest risk factor for kidney stones. Oxalate is present in many foods, some with higher levels than others. Some low oxalate foods that you can enjoy include: green tea, apple cider, raisins, avocados, bing cherries, grapes, melons, fish (not sardines), cucumber, cauliflower, shellfish, poultry. Remember, water is the essence of life! Have you heard of KANGEN Alkaline Water?